In honor of law enforcement officers Karma is offering Free lunches or Dinners to all LEO all day today. 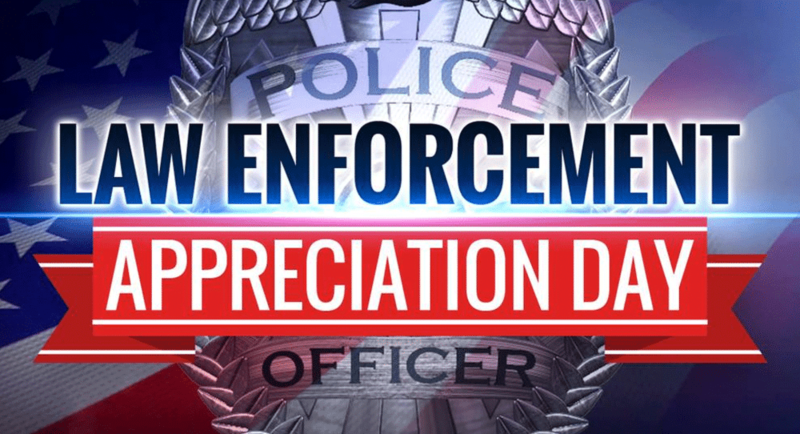 We appreciate the service you provide while putting your own lives in harm’s way to protect us. You are often seen as just those who hand out tickets; most of us don’t realize everything you do in a day’s work. You and your service are greatly appreciated. Thank you and keep safe. Big Thanks to Sheriff Al Nienhuis , Hernando County Sheriff’s Office and its officers. For over a year the Hernando Sheriff Dept and their deputies that have been on detail at Karma.. So many people have contacted me asking why the sheriff dept sits in the pharmacy parking lot next to us. Everyone says they don’t need to be there cause we don’t have issues and they are just there to pull people over as soon as they pull out. I disagree cause the are helping us keep karma clean. For just over a year we have hired off duty officers to simply sit there in their car as a deterrence. We are happy to have them there and no they are not sitting there to bother us. For a fact I know some people we don’t want in Karma are purposely not coming because that sheriff car is sitting there. I received Facebook messages from people saying they don’t come because the sheriff car is parked there. I question why they are worried. As long as you have nothing to hide and have not done anything illegal, you are fine. 😊 They don’t sit there and radio sheriff cars down the street to pull you over and in fact they have notified us if there is someone that they think shouldn’t drive. Sometimes they have waited with patrons till 3am for uber or taxi to pick them up. We appreciate all they have done to help with keeping Karma clean. Thank you Hernando Sheriff dept and all LEO for all you do for Karma and the community.